Fleet operators across the UK should be focused on safety. As a result, they should highlight to staff who carry heavy loads in their vehicles to remember this fact and amend their behaviour behind the wheel. 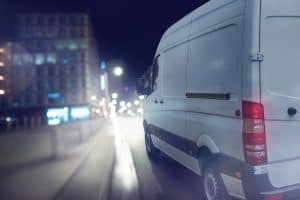 New research published by Volkswagen Commercial Vehicles (VCV) has revealed how carrying a half-tonne of equipment in a standard van can increase its braking distance by up to 36 per cent. This equates to an extra five metres of stopping distance travelled when a vehicle brakes from 60 mph. Testing was carried out by the company at the MIRA Proving Grounds in Nuneaton using the manufacturer’s range of Caddy, Transporter and Crafter vans. It simulated realistic stopping distances for the vehicles when carrying a range of different loads. Mr zu Dohna went on to add that adapting your driving style to take into account the additional braking distance required when transporting heavy loads can therefore be crucial in helping to save lives and to better avoid costly, and potentially serious, accidents.